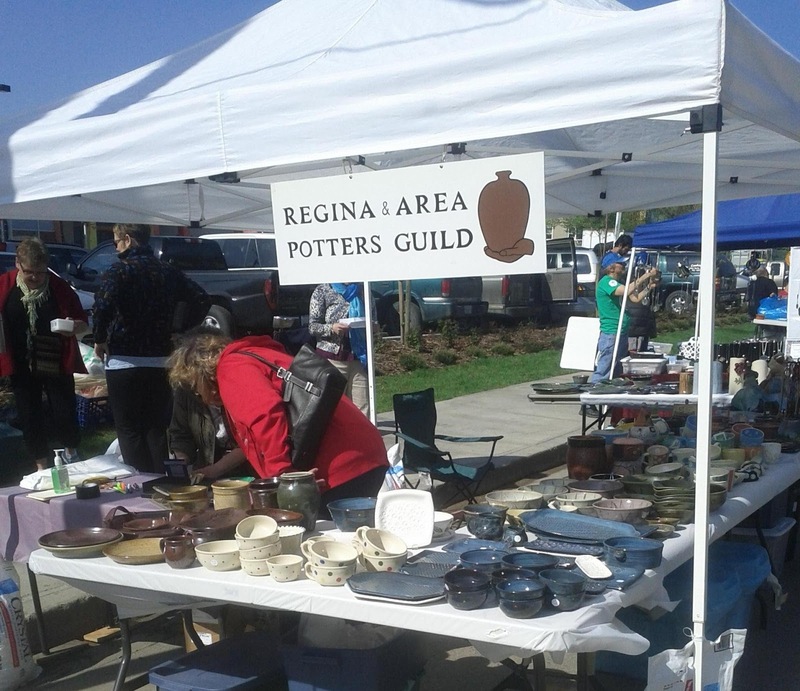 One of the best arts related highlights each spring in Regina is the CathedralVillage Arts Festival. 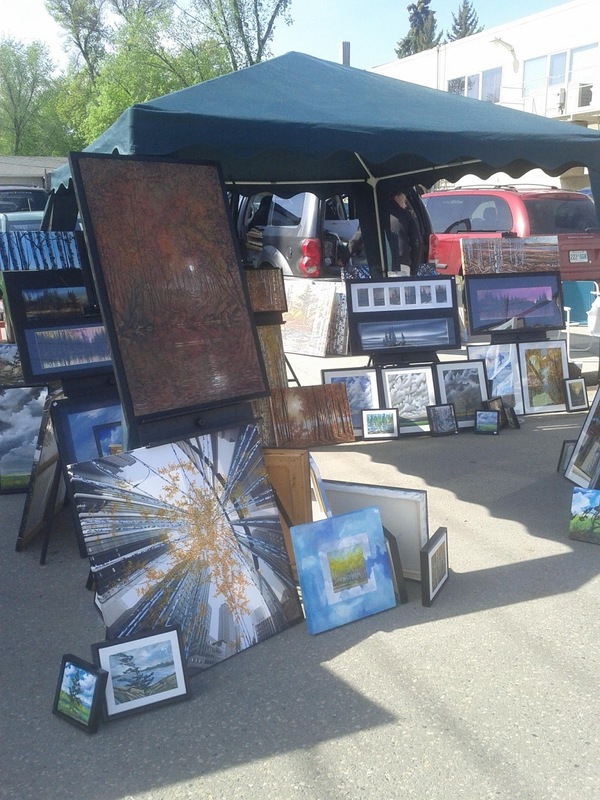 It takes place the week following the May long weekend annually, and includes various musical, film and theatrical performances throughout the week, and culminates in the CVAF Street Fair. The CVAF Street Fair is HUGE. It may be one of the largest in Canada. This year, the CVAF extended a full 16 blocks along 13th Avenue (Between Angus & Elphinstone) as well as along roughly half a dozen side streets. I was at the festival with the SCC Information booth and was only able to take in 5 or 6 blocks during my breaks. Not only was there so much to see – between craft and art, food and info booths as well as buskers and other performances, and activities for adults and children – it was CROWDED. I can’t even hazard a guess as to how many people went through but it was probably close to 10,000 or more. We certainly had plenty of people stop by the SCC booth to say hello! (My voice was pretty croaky the next day from all the chatting.) The people watching was also pretty incredible. Lee Halford of Stepcat with her new line of leggings! View from the SCC Info booth! 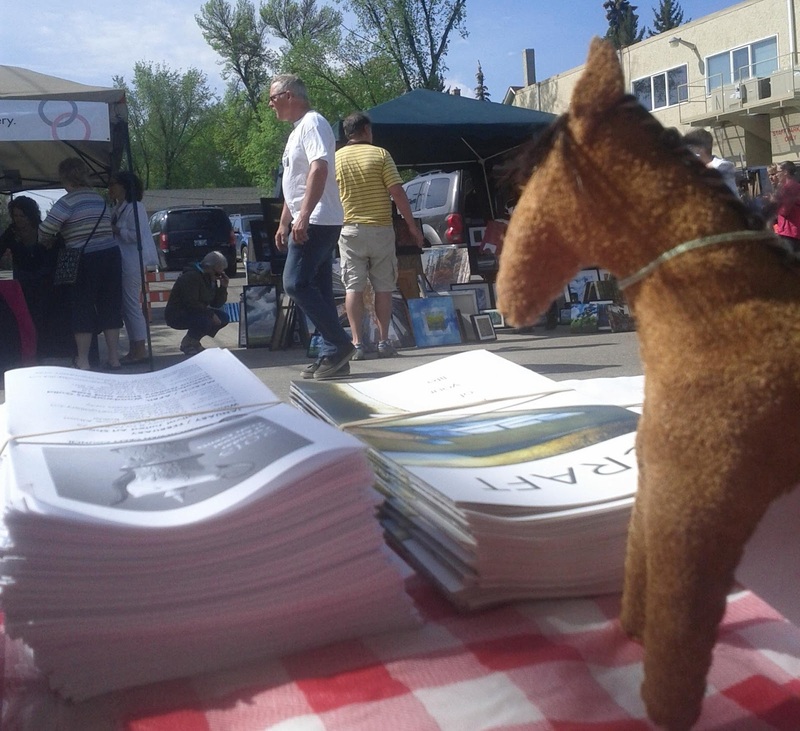 This sweet horse from Kakwa kept me company. 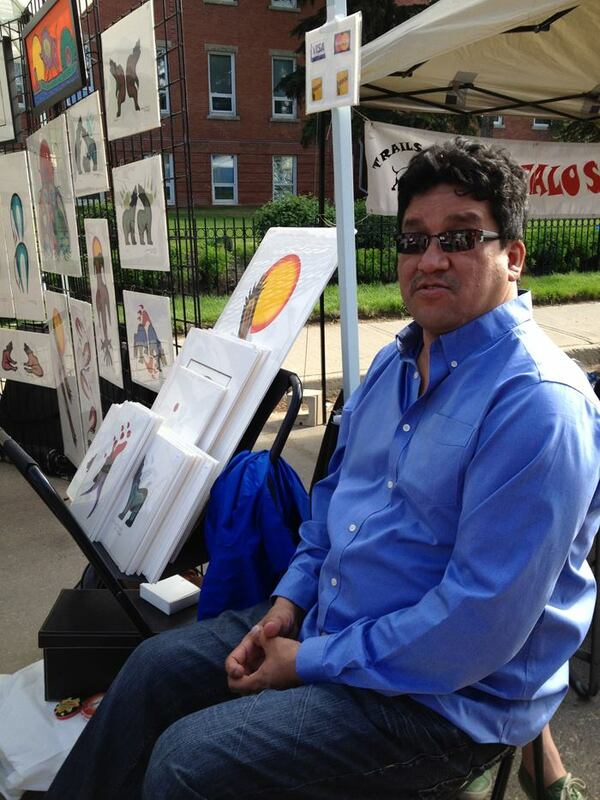 Our friends at Traditions Handcraft Gallery also had a number of great craft demos scheduled throughout the day. You can check out the photo album here to see all the fun! 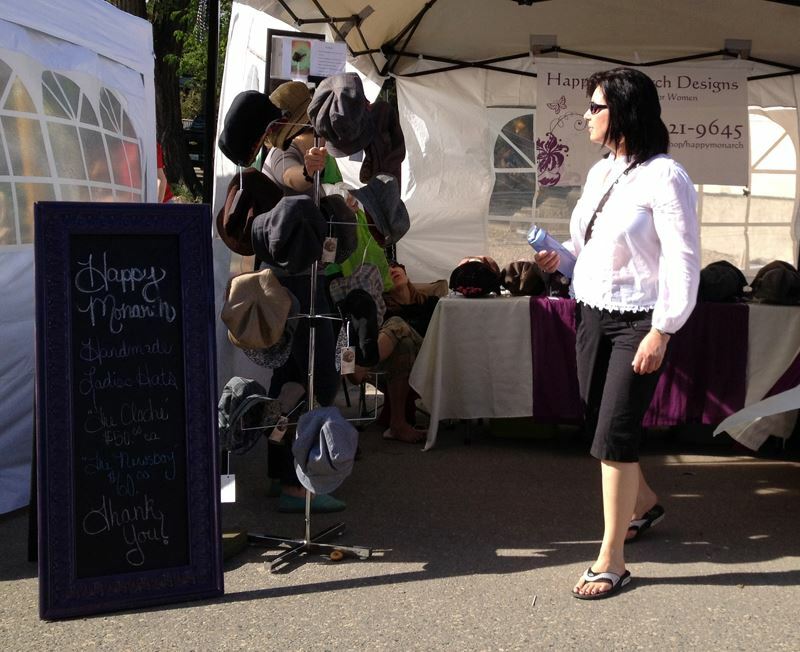 Since part of my job at the SCC is organizing craft markets, I am in awe of the incredible job the CVAF committee does each year to make the arts festival such a success. Hundreds of volunteers work to keep the street fair in order throughout the day, and the week itself is organized by a committee of over a dozen volunteers who each take on coordinating elements such as dance, busking, Family Funville, communications, theatre, literary, music and website in addition to administering the street fair and other volunteers. I tell you from experience – organizing something like this is a BIG JOB and the CVAF Committee does an AMAZING JOB of bringing so many elements together. 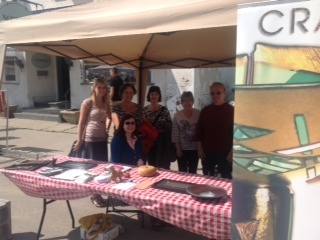 Kudos to the committee and their dedicated volunteers for another wonderful Cathedral Village Arts Festival! 2013 marks the 30th anniversary of DIMENSIONS!